Dr. Berry’s™ Gout Therapy Oil helps to relieve joint discomfort and soreness attributed to gout. Our 100% natural formula uses safe natural blends of homeopathic and 100% pure essential oils extracted from plants to deliver superior pain relief. Our topical homeopathic medicine temporarily relieves pain without side effects found with other prescription or over the counter medicines. Capsicum Annuum acts as a remedy for pain. Arnica Montana has been used for reducing the swelling and pain of bruises, sprains, and muscle & joint problems. Hypericum acts as a remedy for injuries to nerves, excessive pain, spasms tingling, burning and numbness. Cypress Leaf Oil enlivens and regulates the flow of blood, easing muscle and joint stiffness. Eucalyptus Oil has a cooling and stimulating effect and can help with pain and inflammation. Eucalyptus is analgesic and anti-inflammatory by nature. It also releases toxins from the muscles. Pelargonium Leaf Oil has effective analgesic and anti-inflammatory properties. Peppermint Oil is a powerful analgesic pain reliever. The natural menthol in this oil can help relax muscle spasms and it also has an anti-viral action and pain relieving ability. It has also been proven to have "pain relieving effects" . Sesame Seed Oil has long been used to aid with joint movement and to nourish bones and muscles. Sesame Seed oil is also known for its warming and soothing properties. My Mother, at 96, suffers from arthritis badly. This seems to be the only product that helps relieve the pain. It is meant for gout, but works great for regular arthritis too. I was introduced to Dr Berry's gout oil and was very surprised how quickly it works. 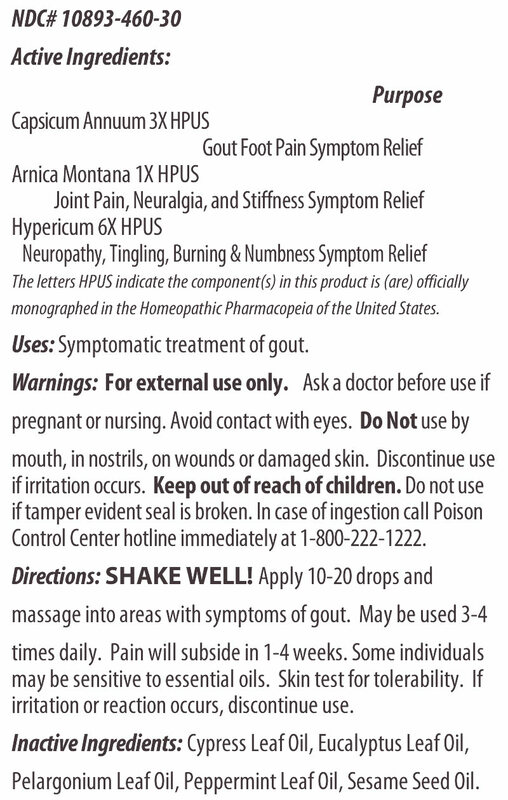 It's wonderful I would recommend it to anyone with gout but, it also works for pain period. When I get get a pain anywhere on my body I used Dr. Berry's gout oil. The only time I don't use it is on a open wound.